Everybody deserves a second chance. – Serge Michel knows what he’s talking about. He used it for his career, put everything on one card and became successful. 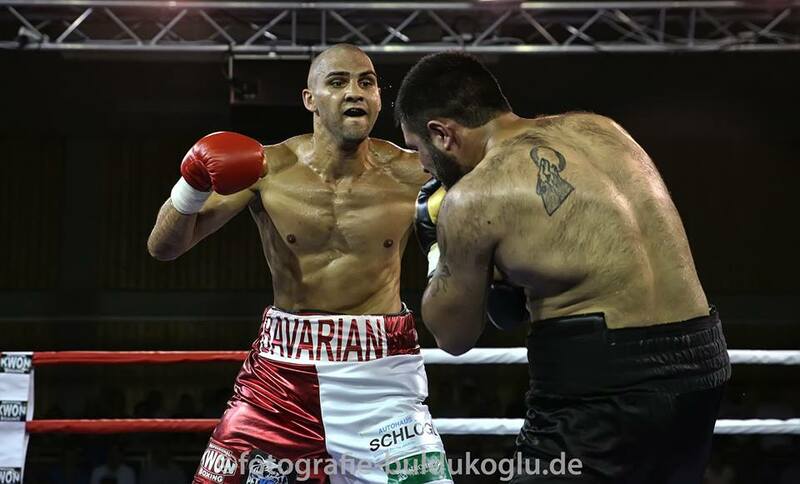 When it comes to Serge Michel, there are terms like the super talent, the exceptional boxer, what a tough dog, he loves opposing challenges, the “Bavarian Sniper”, a boxer with world champion potential. His career is impressive: 150 amateur fights, of which he won 115, 63 of them early, 2016 Olympic squad participant in Rio, winner of the Chemistry Cup, participant of the World Series of Boxing (balance 4-3), AIBA Pro Boxing (balance 4-1) and many other impressive international events. Among others, he defeated world champion Tyron Zeuge (25) and the Russian champion and world-class boxer Georgij Kuschataschvilly. As Serge Michel (28) himself says: “I have already successfully fought several battles”. Now it was time to take the next decisive step in his boxing career (light heavyweight). He joined the professional team on 1.3.2017. 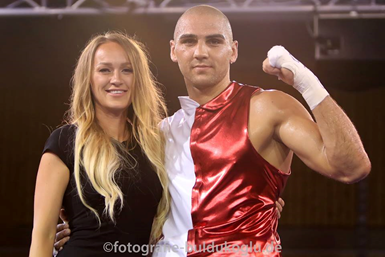 Petko’s boxing promotion, led by Alexander Petkovic and Nadine Rasche, has acquired this exceptional talent. His condition for Petkovic was: “that he only organize opponents for him who have more victories than defeats”, otherwise he would not have signed. On October 14th, in the Petko’s Fight Night “Champions Edition”, the time has come. 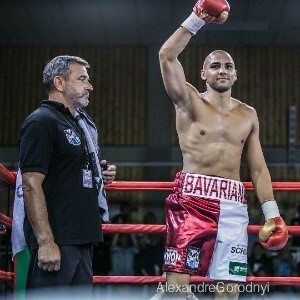 “Bavarian Sniper” Serge Michel will give it all, his focus is clearly on victory and as he says himself: “I want to become world champion in 2019, this fight brings me a bit closer to this goal”. The two main fighters on this evening are Howik “the Lion” Bebraham and Francesco Pianeta. Further duels will be fought by Vartan Avetisyan, Nick Morsink, Edgar Walth, Peter Milas and Andrej Pesic at the INFINITY Hotel Unterschleißheim. We can be very curious about the performance of the Traunreuter Serge Michel. Already a few months (17.06.17) before he proved his power in a very special way. The professional newcomer (2 fights, 2 wins by knockout) fought against Georgian Zura Mekereshvili in his adopted country Traunreut. In the second round he broke his hand, continued the fight and won after the full distance with a first-class performance. When asked how he solved this, he replied: “I switched to Southpaw, using my right fist almost exclusively as a guide hand. So I could control the fight. With the left hand I tried to set effect hits”. Nadine Rasche praised Serge after this unbelievable fight: “How he bite his way through to the end, how cleverly he solved this against this top man, shows what he is made of”. What makes this star athlete so determined? What is behind this irrepressible motivation to give everything – to become world champion? “He goes his way unswervingly and he is certain of success,” says Serge. The strength for this way he draws on the one hand from his family, on the other hand from the experiences of the past and from his new boxing partner Petko’s boxing promotion, which fully supports him. The most important pillar in his life is Olga, his wife. With her and their three sons Timur (9), Arian (5) and Adam (3) they live in their adopted home Traunreut. Other important pillars in his life are his father, brothers and sisters. His father is his head coach, closest confidant, his advisor. Serge: “My dad taught me everything, without him I wouldn’t be where I am today, both athletically and personally.” They all stand closely together and live together as a family. Serge experienced for himself how important this is for his life. 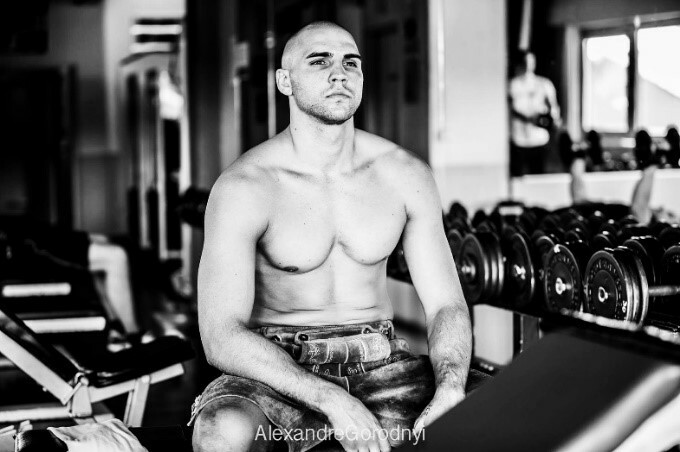 Serge Michel was born in Sakhalin in 1988 and moved with his family to Germany at the young age of 6. Now many challenges were waiting for him. In puberty it really went off. He was expelled from school after the eighth class, came into conflict with the law several times for theft, assault, burglary, which led to 2 juvenile sentences in the prison Traunreut. He met his wife Olga between his two jail stays. She believed strongly in him and became pregnant with Timur before he even began his next imprisonment. Everything was different from now on. He was incredibly afraid of losing his family. He felt for the first time what it means to take responsibility for his, now own, family. For Serge it was clear: “I have to change my life, otherwise Olga and Timur will leave me”. The family was behind him during this extremely hard time. They knew about the potential Serge had. Since they had always lived by the fact that every person deserved a second chance, they quickly agreed what to do. In his minutes off, Serge trained. Boxing and family, that was his new life. Between 2011 and 2012 he made up for his qualified lower secondary school leaving certificate. His father was his trainer and he was a househusband until he reached middle school. His wife Olga earned the “bread rolls” until he was accepted into the Bundeswehr on 01.01.2013. There he was noticed for his boxing talent of the sports support group and was accepted into the national team shortly afterwards. Now he had the chance to follow his passion for boxing, to concentrate completely on the sport and at the same time his performance was honoured. 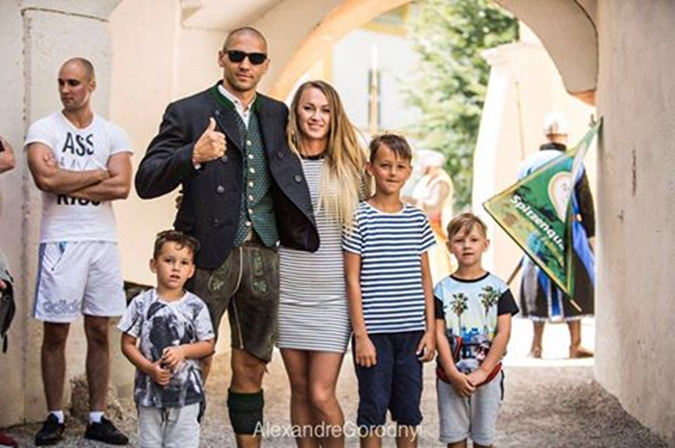 For Alexander Petkovic and Nadine Rasche it was soon clear that Serge had what it takes to be a professional boxer. Talking to Astrid Arens, expert for (neuro-) communication / marketing and mental coach for top performance, Serge Michel clearly said that a boxing match is two-thirds between the ears. With a third he evaluates the physical fitness, which is a basic requirement to win a fight. For Serge it is clear that he will be world champion of one of these titles by 2019 at the latest: IBF, WBC, WBA, WBO and or IBO. We’re sure he’ll make it. With this attitude, a future world championship title is within reach. We wish him much success at the Petko’s Fight Night “Champions Edition” on 14.10.2017, in the INFINITY Hotel Unterschleißheim.